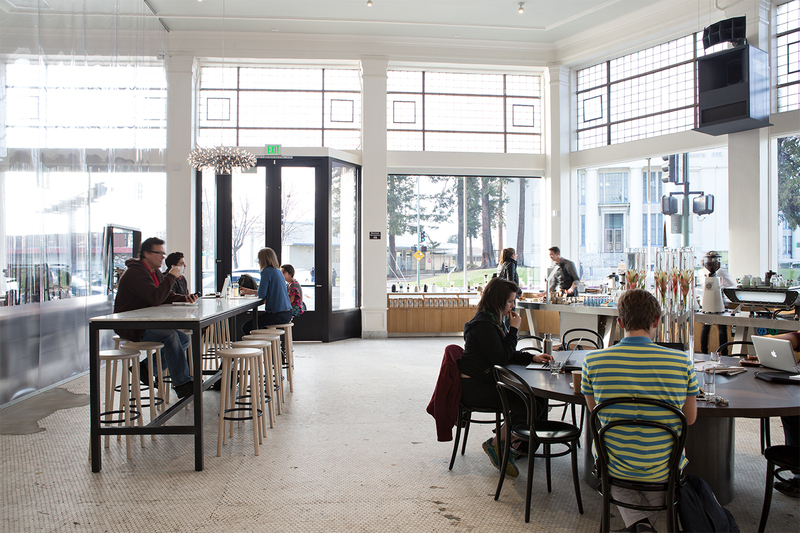 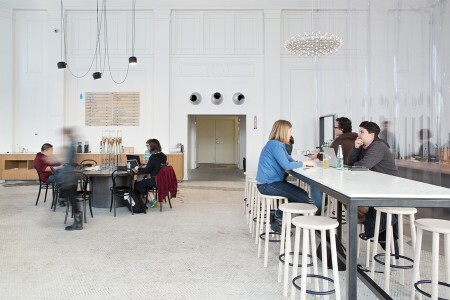 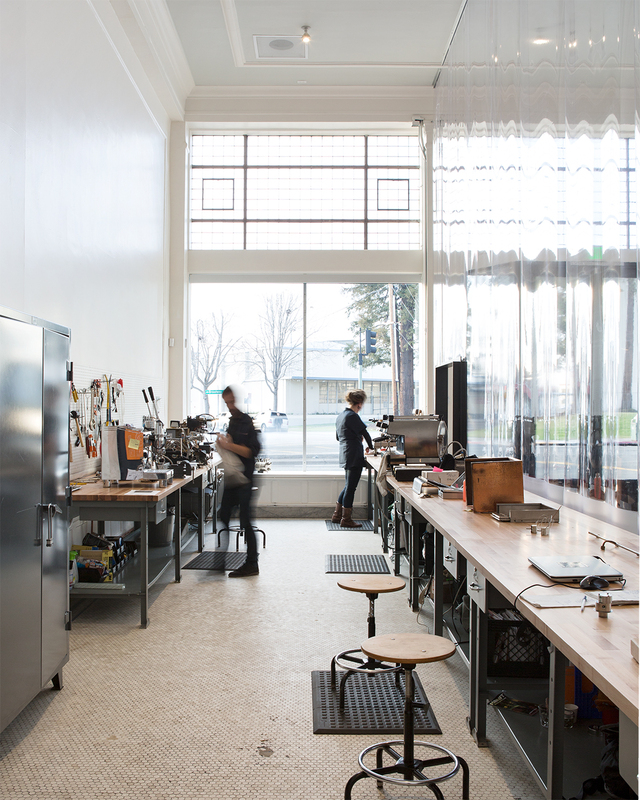 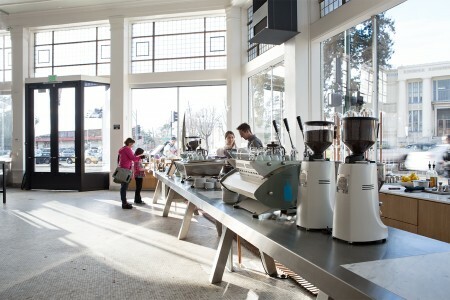 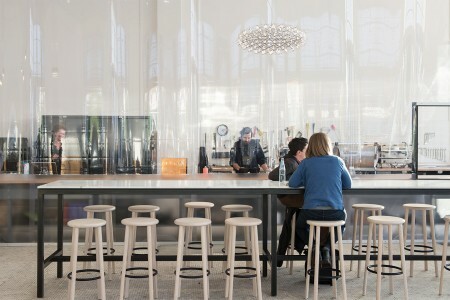 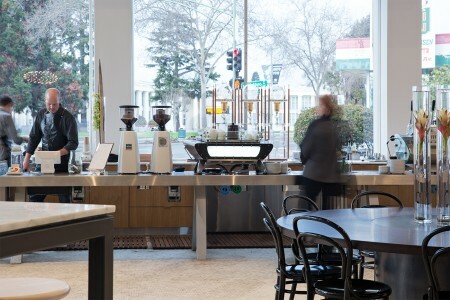 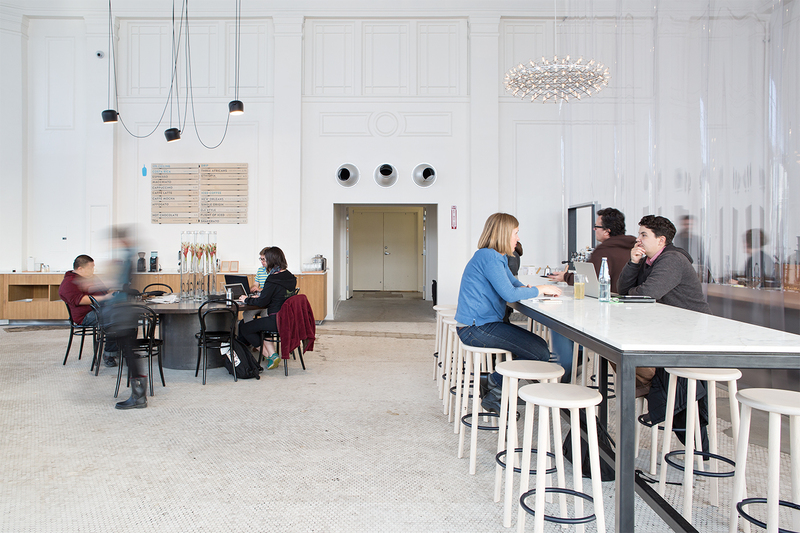 About/ Located in an historic 1921 former auto showroom in Oakland, this flagship location for Blue Bottle Coffee expresses the company’s guiding principals through its design. 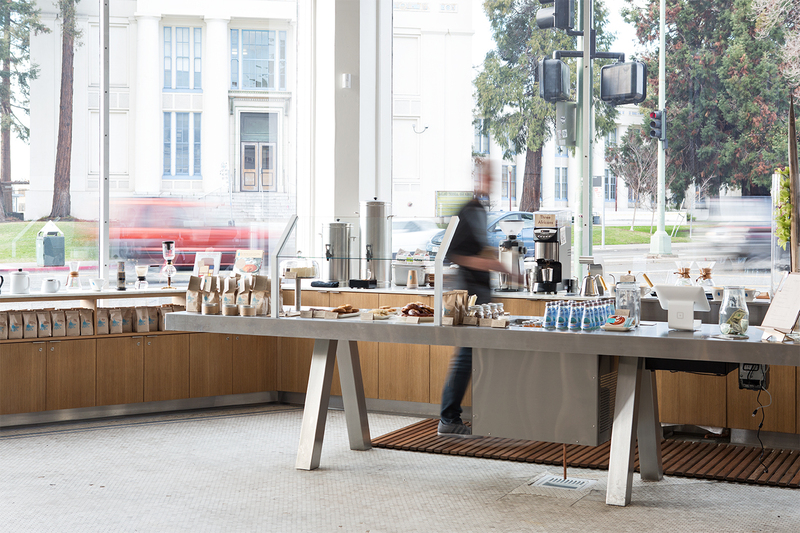 The focal point is an espresso bar on a custom 30’ long stainless steel table. Inside you’ll find seating, retail area with coffee equipment and espresso machine sales, and the company’s tech department, which repairs professional and residential espresso machines behind a clear vinyl curtain. 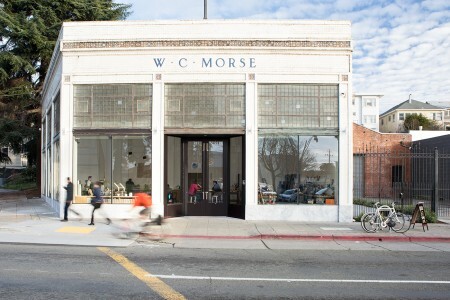 Inside, the architectural approach was to respect and preserve the existing qualities of the former showroom, while inserting new large scale fixture elements.